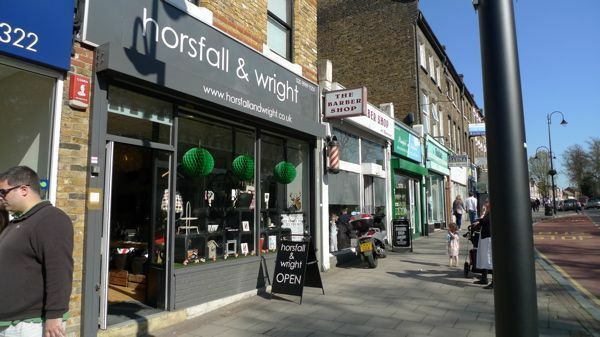 Exclusive: Trendy gift shop Horsfall and Wright is moving out of Wanstead, Wansteadium understands. It is planning to relocate in bigger premises in a busier High Street, though it is not yet clear where that will be. The move is expected within the month. The shop, which came to Wanstead High Street three years ago, has been opening less frequently lately as preparations are made for its move. Last year its minimalist chic earned it a nomination in the Wanstead Society’s best shop front competition, when it was commended for a “well thought-out design” and for being a “smart injection into less-favoured end of the High Street”. The news will come as a blow to shoppers as well as other retailers, and comes just a few weeks after it was revealed that delicatessen The Olive Branch had been put up for sale. Hardened Horsfall and Wright fans will still be able to buy online. UPDATE: Tweet from Mark Bentley: Andrews Builders Merchants to close in Wanstead. Too many people coming in for just a washer, it would seem. Sad though, been there forever.